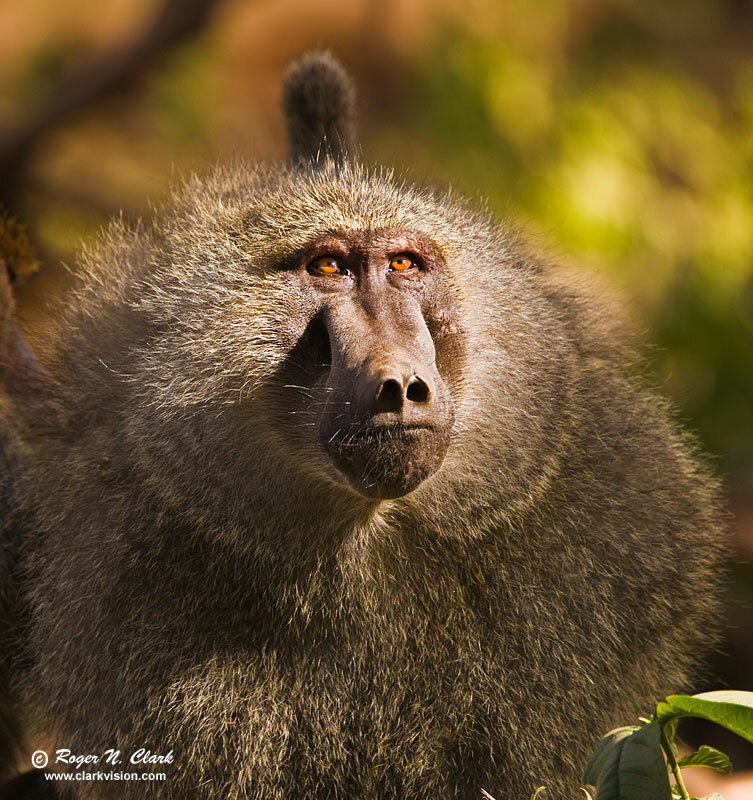 A baboon, as if seeing the light and contemplating what it might mean gazes upward as light pours down through gaps in the leaves of the forest canopy. Lake Manyara National Park, Tanzania, Africa. Technical: Canon 1D Mark II 8-megapixel camera, Canon 500 mm f/4 L IS lens plus a 1.4x teleconverter giving 700 mm at f/5.6. Exposure: 1/160 second at ISO 200, f/5.6. Full height image, horizontal crop.